Meeting all of your cannabis needs! Our wide variety of products include flower, pre-rolls, concentrates, cartridges, edibles, high in CBD products, and various paraphernalia and accessories! 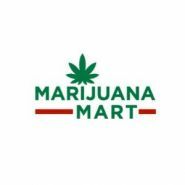 Marijuana Mart is located in the heart of Grand Mound, Washington. We are a medically endorsed recreational Marijuana shop that opened in spring of 2015. It is our mission to build a loyal customer with compassionate customer service, quality marijuana products and competitive pricing. Our customer know they can count on our knowledgeable staff to provide honest feedback, great value and a consistent quality that can be trusted.